Weight is a great enemy of healthy life. Once our weight increases, it becomes very tough to reduce it. 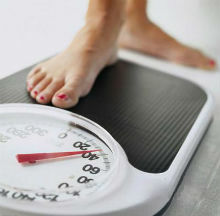 When we reach at the age of 30 and above, reducing weight becomes much harder. It is not really so easy to maintain a stable weight. But yes, reducing weight can be possible if we maintain some rules and regulations in our meals or type of food. Here I’m going to share some tips that help to reduce fat and also helps to remain healthy. - Waking up from sleep at morning at first drink the mixture of one tea spoon honey, two tea spoon lime and half cup warm water. - Before every meal, drink one or two glass of water. - Keep fibers containing food in your daily diet. - Choose sea food or deep sea fish instead of other fish or meat. - After your meal, drink a cup of wine or tea without milk and sugar. - Choose seasonal sour fruits instead of drinking fruit juice. - Try to complete your dinner before 7 pm. - Drink a glass of water before you take meal. - When you return home, drink lime juice without sugar in warm water. I’ll suggest you to maintain these small tips and lose fat. Lead a healthy life. Find out more tips from my health care reviews. Stay tuned. Mumps is generally a viral infection that is characterized by a swelling of one or both salivary glands that commonly occurs in children. Most children who are infected or diagnosed with mumps have a swollen side of the face and some even suffer from a whole face being swollen. There aren’t a lot of ways to help prevent mumps but there are few proven and effective preventive measures against it. Get a vaccination against mumps. Vaccination can be either of the two types which are the MMR and the MMRV vaccine. The MMR vaccine prevents measles, mumps and rubella while the MMRV vaccine prevents measles, mumps, rubella and varicella (also known as chickenpox). Children are often required to receive two shots of this vaccine which should be given at 12 to 15 months of age and the other one given when the child is 4 to 6 years old. Wash your hands regularly. Regular washing of hands prevents virus and bacteria from spreading. Children should be taught with regards to the proper way of washing hands. Wash utensils, toys and other objects that frequently come into contact with hands with soap and water. It is better to disinfect these objects as they might contain viruses and bacteria as well. 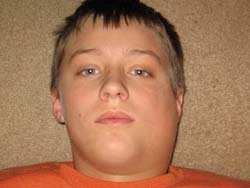 Be careful around people who have mumps. If you work in a medical facility or you are exposed to family members and friends who have mumps, it is better to avoid being in contact with them. Do not share utensils with people who have mumps. Read more articles at Natural Health Care Reviews. 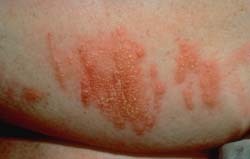 Oil from poison ivy can penetrate the skin in a matter of minutes and leave rashes and blisters if not treated properly. In most cases, the blisters and rashes start to appear 12 to 48 hours after exposure to the irritant. It is very important for people who came in contact with poison ivy to seek medical help and even more important to be provided with first aid relief. Here are a few things you can try. Wash the infected area with running water first. Try to get off as much oil as you can from the skin area. After washing with water, wash again with soap and water. Air dry the infected area as using a towel or a cloth will only absorb the unremoved oil and will probably cause problems later on. Wash the infected area with soap and water first as instructed above. After doing so, apply vinegar onto the whole are with a cotton ball. Rinse off. Simply pour cold black coffee on the infected area. Coffee is said to contain anti inflammatory substances like chlorogenic acid that can help ease inflammation. Make a paste using baking soda and water and apply it onto the area 3 times a day with a 2 hour interval for each application. Simply break an aloe vera leaf and apply the gel onto the infected area. Let dry and rinse off. Aloe vera, like coffee, also has anti inflammatory properties. Having a family member or a friend who is undergoing depression can be troubling and quite depressing too! 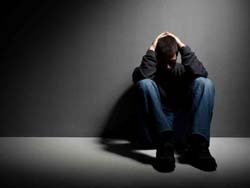 The bad thing is that depression has become very much common most especially in the busy and complicated lives that people lead today. Although there are psychiatrists, psychologists and medicines, there are also natural remedies that can help fight off depression. St. John’s Wort has become highly popular among people who constantly undergo depression. It is usually found in subtropical and temperate climates but is also available in most health food stores and boutiques. St. John’s Wort comes in many forms including capsules, tablets, liquid extracts and popularly, tea. It can help promote relaxation and is also a popular remedy to treat some sleeping disorders. Rhodiola Rosea is a natural adaptogen which can help the body adapt more effectively to stress and even strengthen the immune system. It grows in cold regions like the alpine regions of the North Hemisphere. Rhodiola Rosea is also known to relieve anxiety, stress and generally make an individual’s mood better. Omega 3 fatty acids are known to help lower depression. In some studies, countries who consume more fish – a good source of omega 3 fatty acids are less likely to have depressed individuals. Omega 3 fatty acids can be obtained through fish and some supplements that usually come in capsules. Most fish oil capsules are made available in health stores and online stores too.